Dolby Vision is an innovative high dynamic range technology by Dolby that was until now only used in HDTVs and at Cinemas worldwide to give users a more cinematic viewing experience with astonishing brightness, contrast and color reproduction. Now you don't need to have one of the latest OLED TV or Super UHD display to enjoy this high quality cinematic visual experience. With enhanced color technologies you get a higher dynamic range and image that looks more lifelike. While other companies focus on improving the resolution to shout out how amazing their displays are, LG has decided to bring this technology to further enhance the viewing experience and it definitely compliments its gorgeous display with its cinematic aspect ratio. The LG G6 is the first phone in the world to support this technology. It significantly improved image quality when watching movies, it brings the big screen experience to the device that fits in your hands. I've also heard in the LG G6 launch event that NETFLIX and Amazon will stream in Dolny Vision on mobile devices and you can enjoy that high-quality video experience using your LG G6 smartphone. 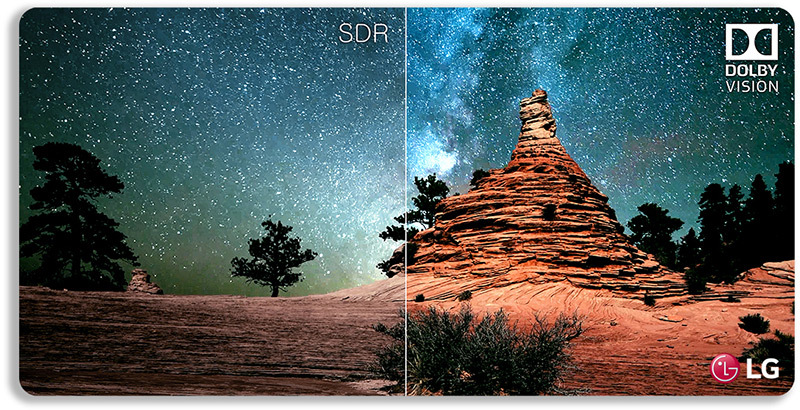 This Dolby Vision technology works better the most of the HDR technologies out there, far better than the ones we have on smartphones these days. This technology also helps to save battery because this technology allows the phone to achieve higher brightness without physically brighten up the individual pixels of the display which of course lead to more power usage. Just for you know, although Dolby Vision is a competitive technology to HDR 10, the LG G6 is compatible with HDR 10 as well.